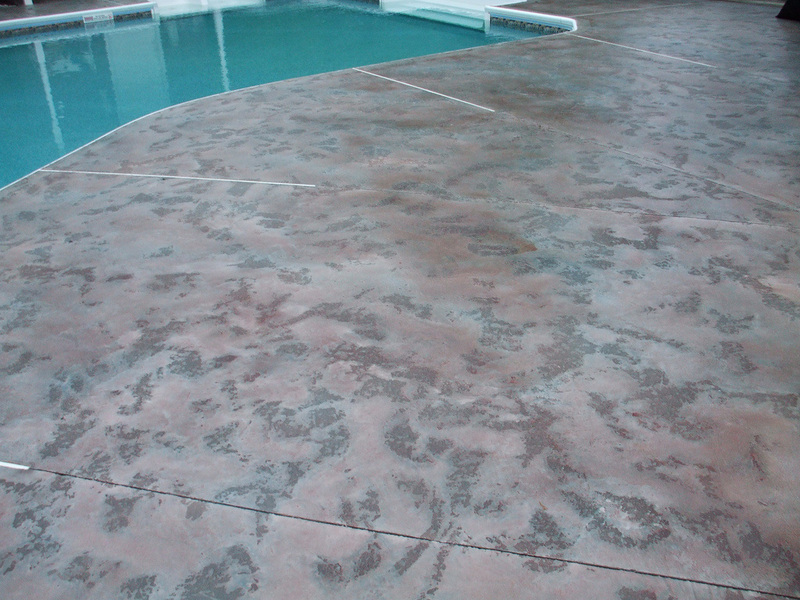 A decorative concrete pool deck is a popular trend providing a colored, textured and inviting area surrounding the pool that does more than provide a safe, slip-resistant deck for sunbathing and barbecuing. Inground pool decks are now given nearly as much attention as any other design in the home. Decorative concrete allows pool decks to complement the exterior of the home, blend into the outdoor environment and copy exotic and traditionally expensive materials such as slate, stone or even wood. Concrete provides benefits such as an extremely durable surface compared to a wooden deck or even stone. With the new techniques for stamping and applying decorative concrete, any look can be created at a fraction of the cost.